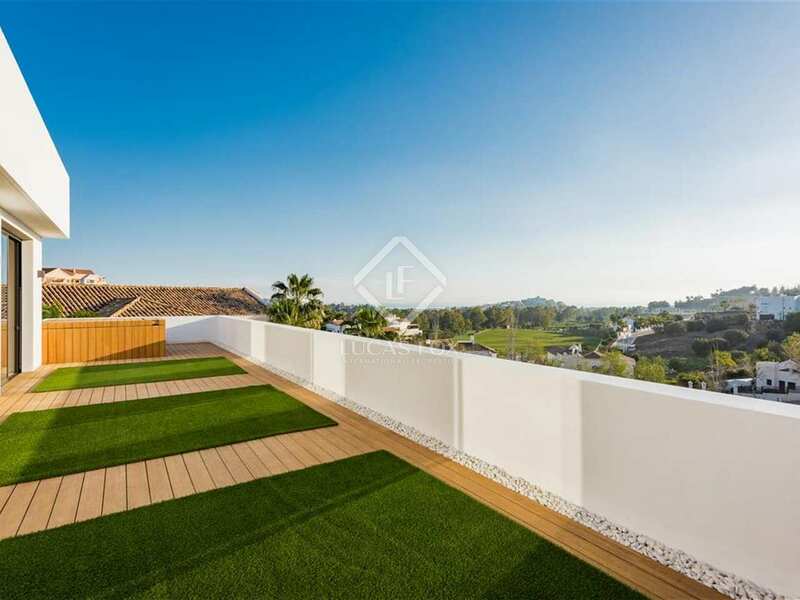 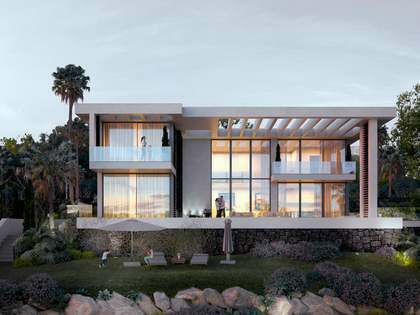 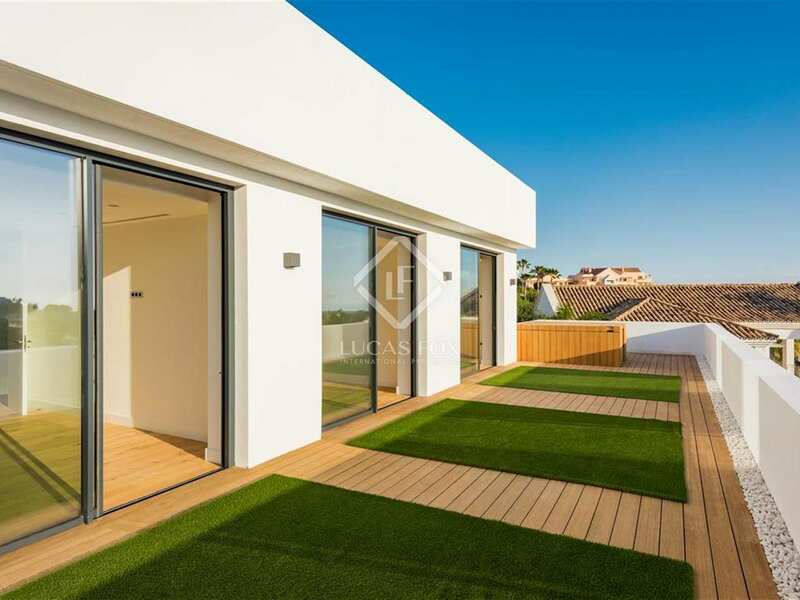 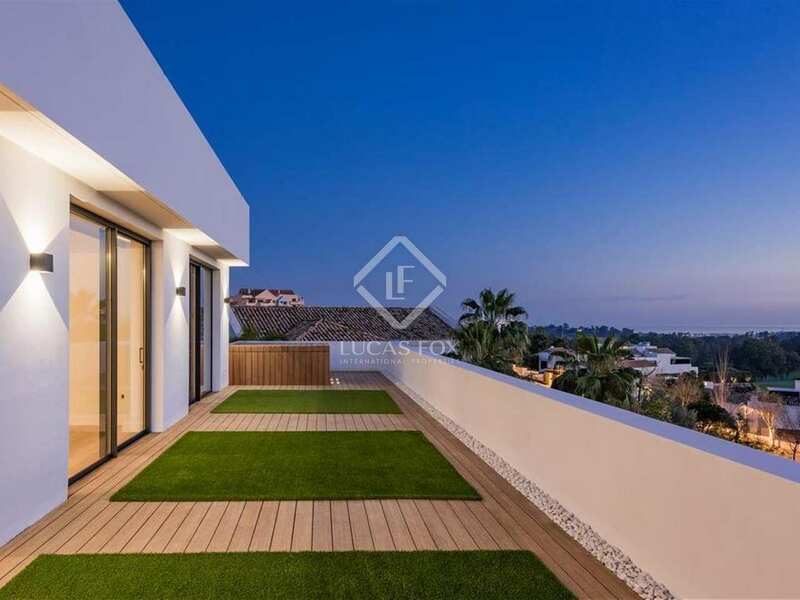 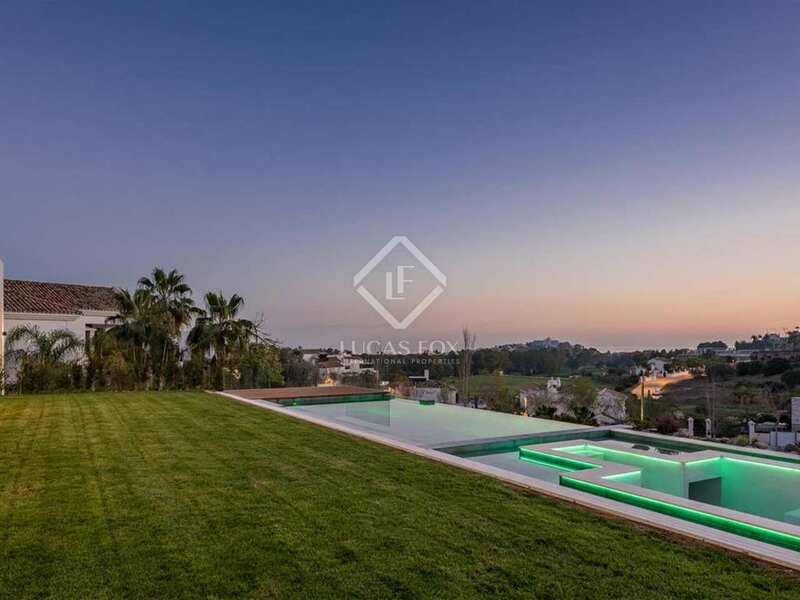 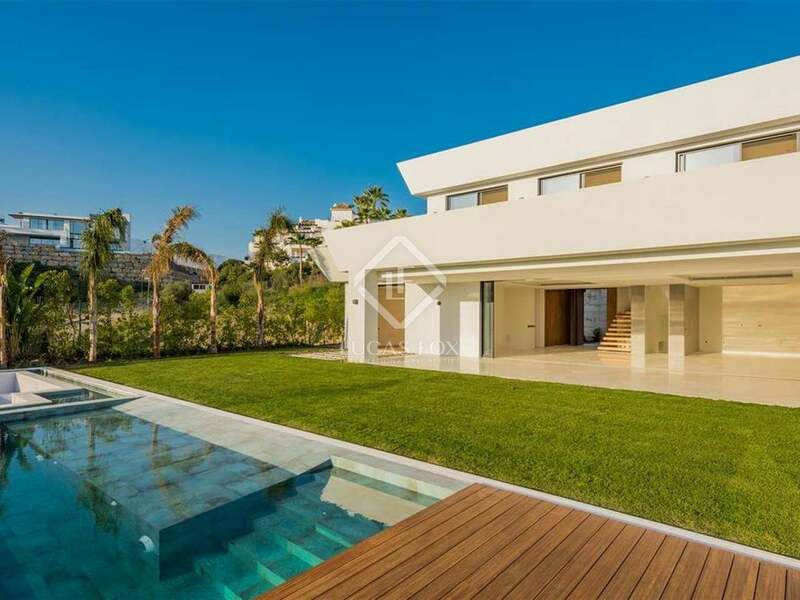 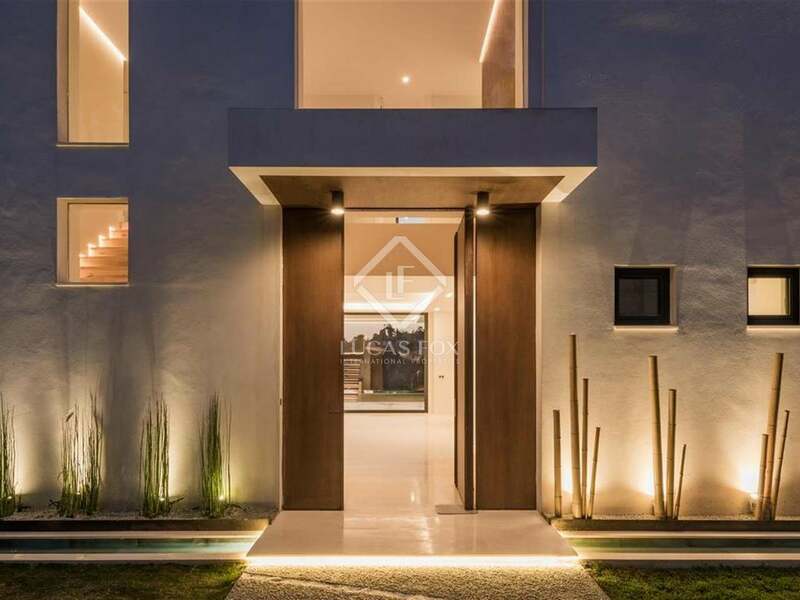 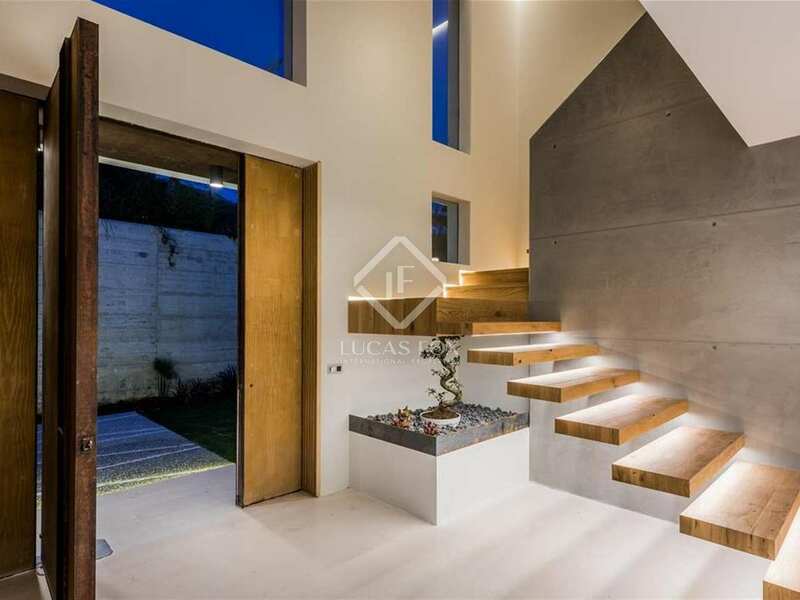 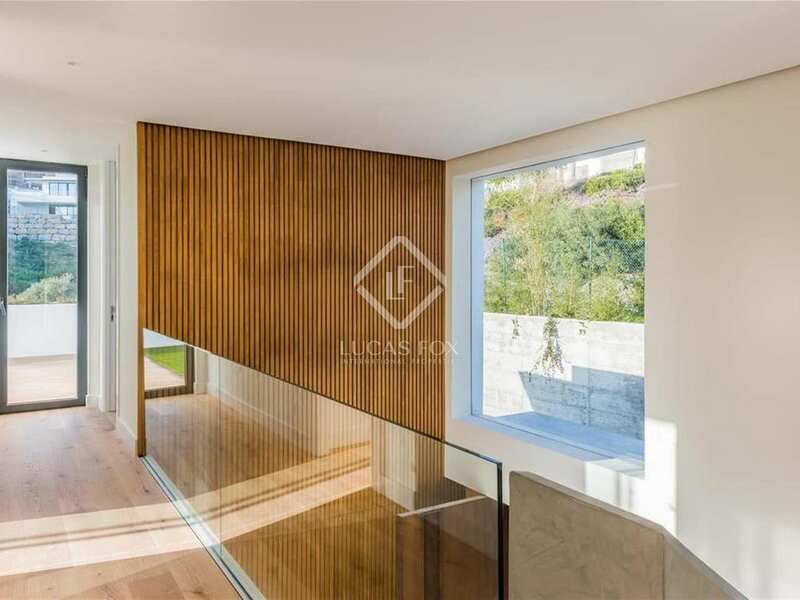 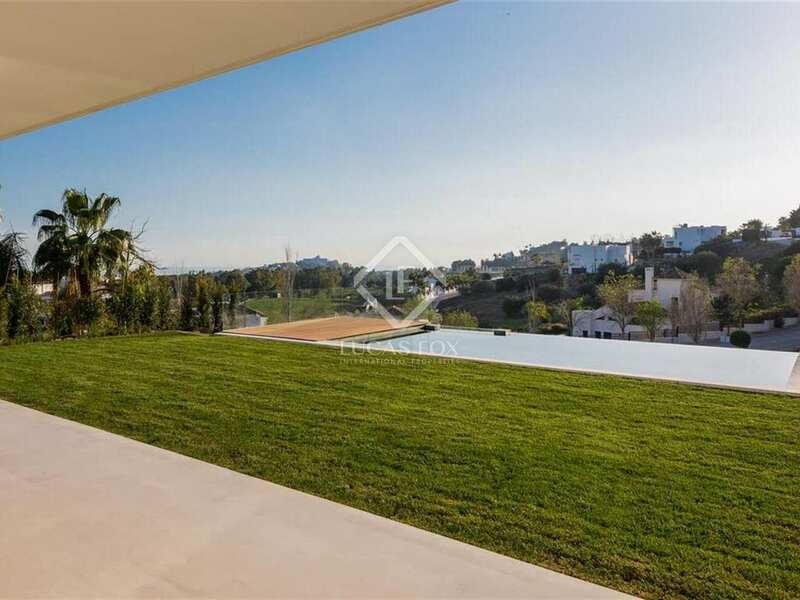 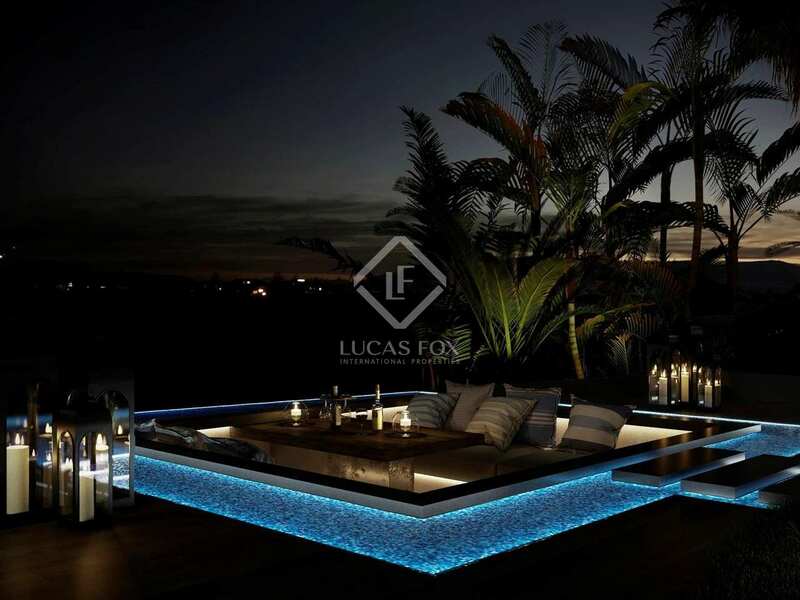 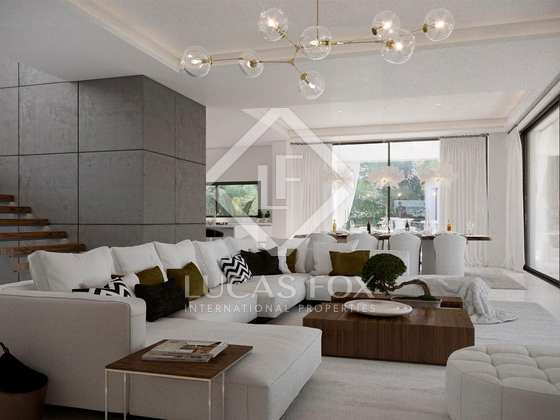 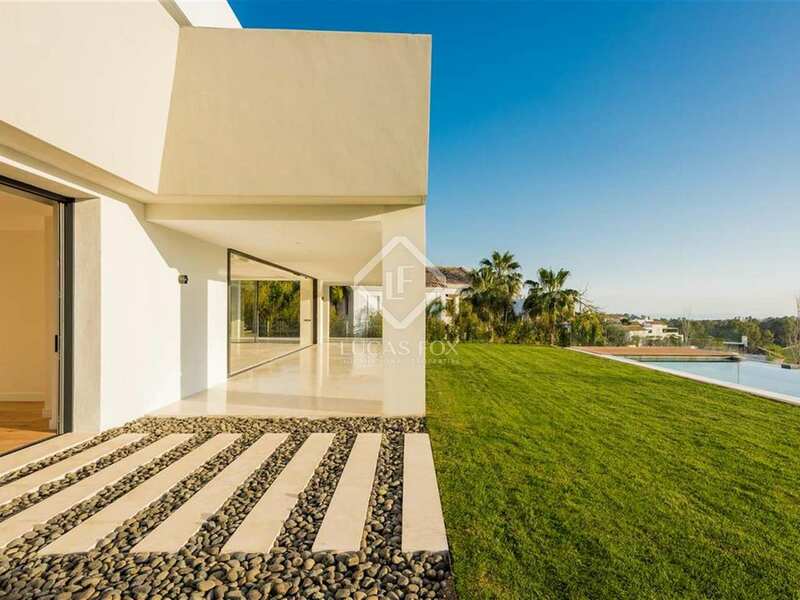 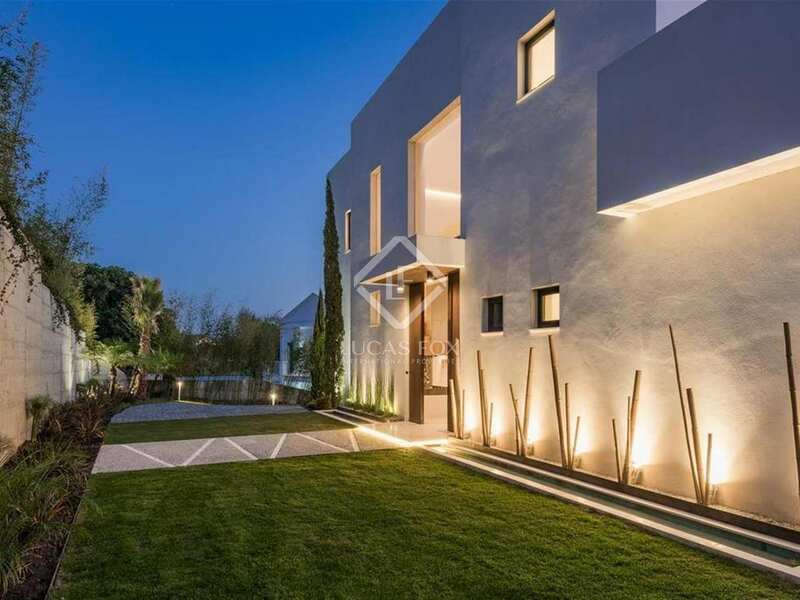 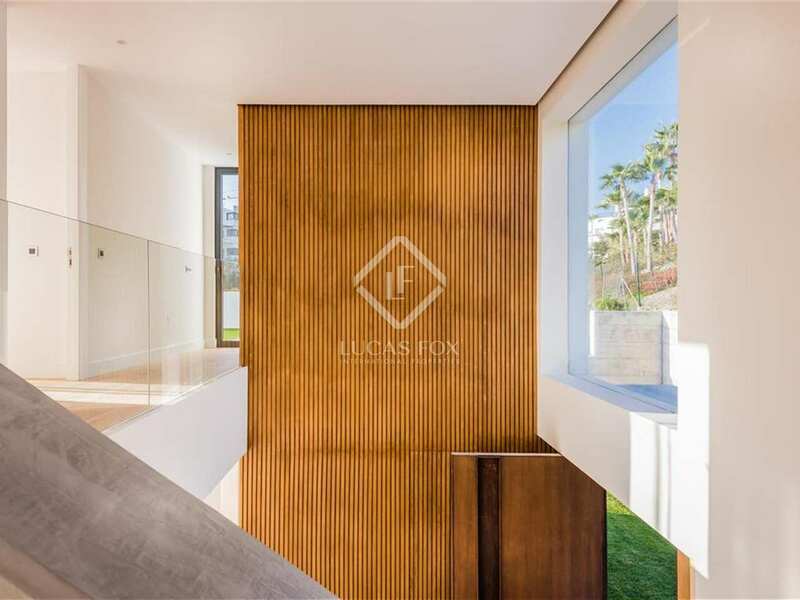 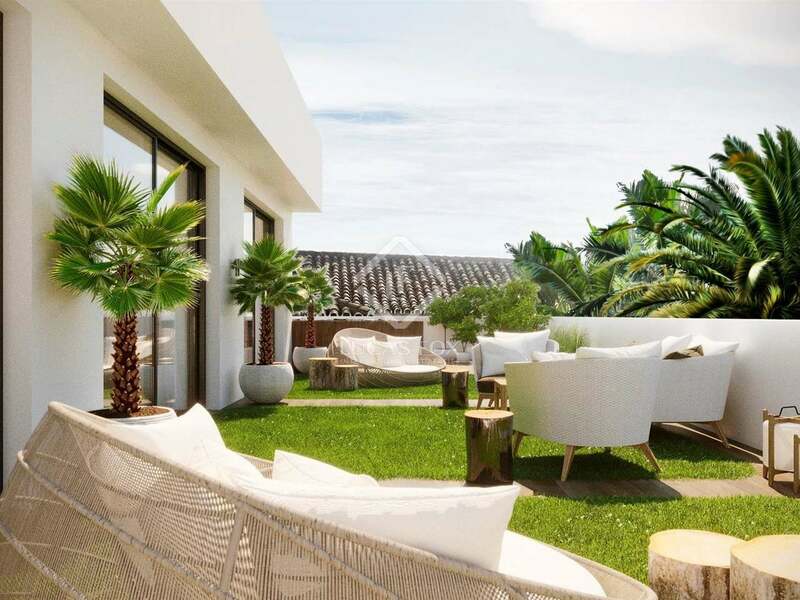 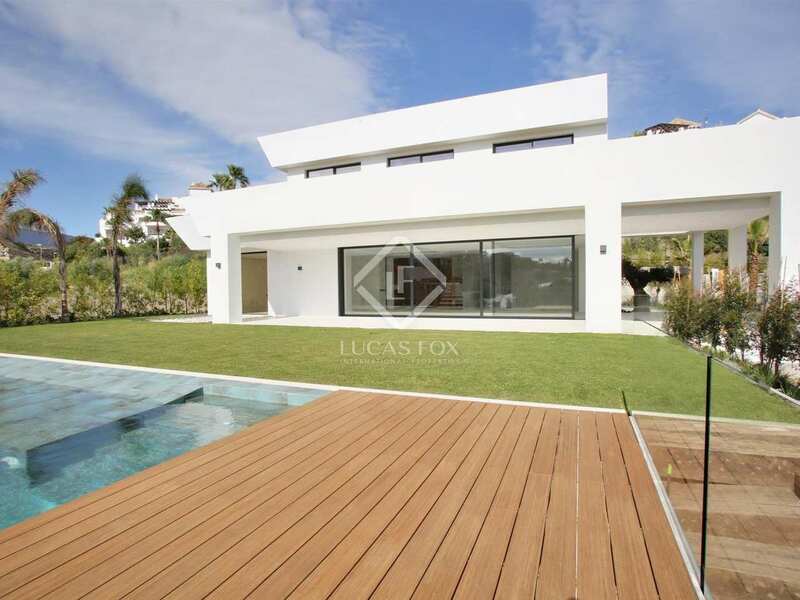 On a south-west facing plot of 1,235 m² in the La Alqueria residential area near Marbella and Puerto Banus, we find this brand new 545 m² villa for sale with 5 bedrooms, 5 bathrooms and a garden with an infinity pool. 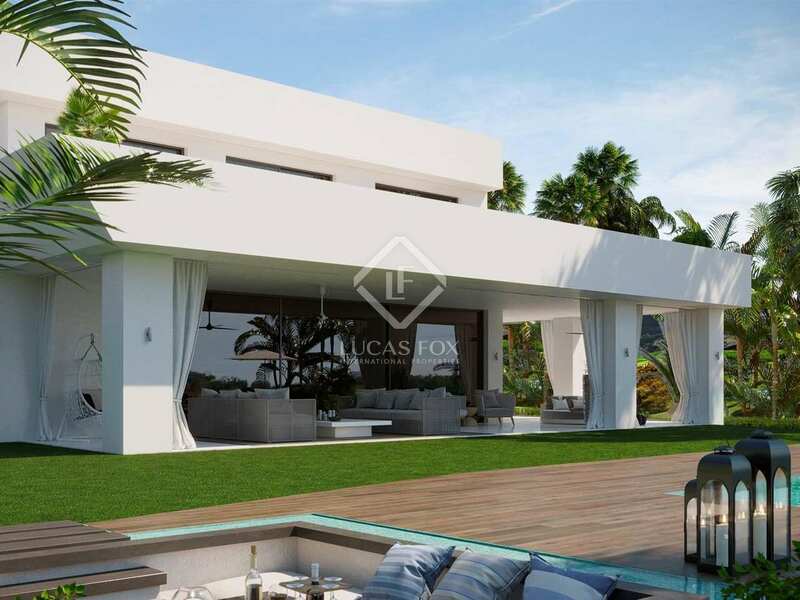 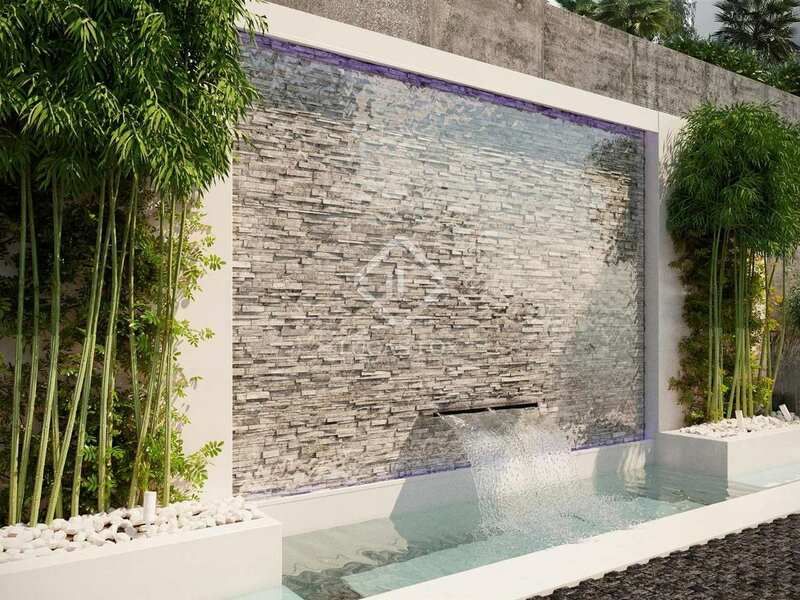 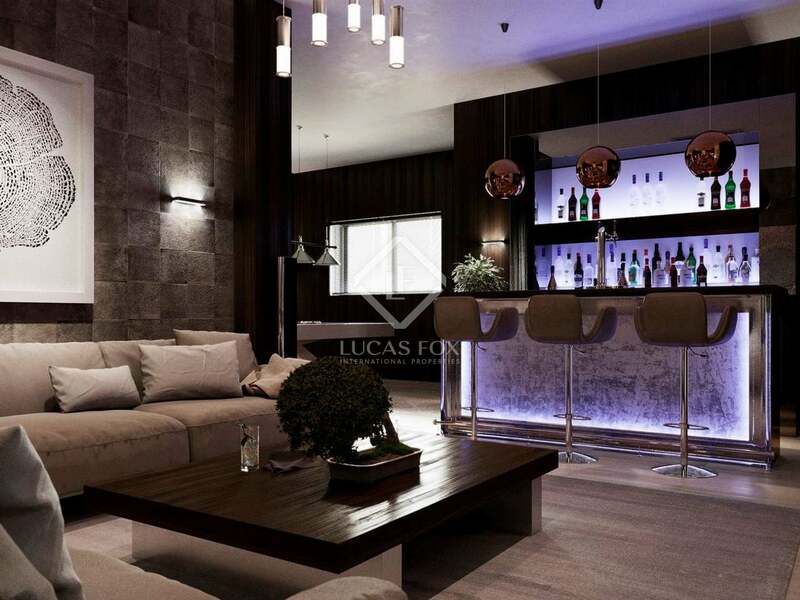 This modern villa is near to completion and will be built to the highest standards. 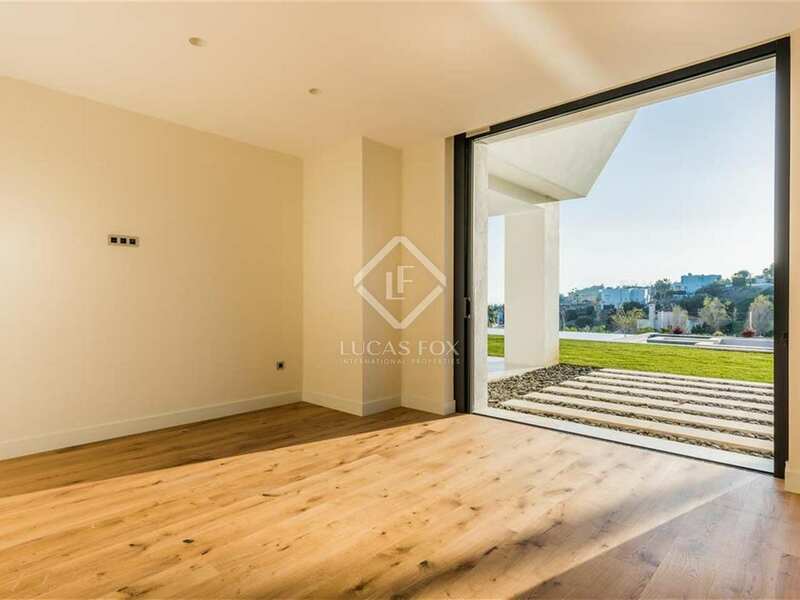 On entering the property we find a generous living area with sliding doors out to a terrace with gorgeous sea views and a garden area. 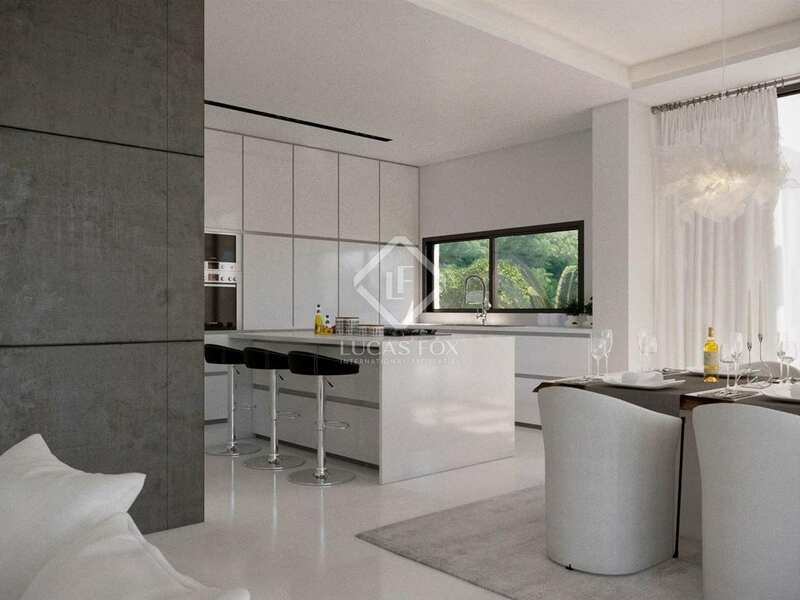 Next to this are a fully equipped kitchen, and a bedroom suite. 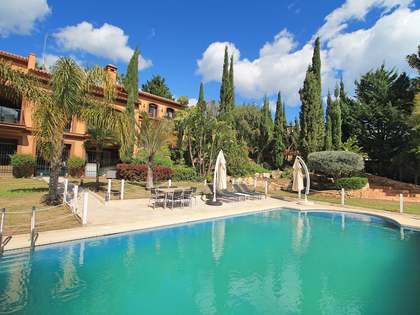 The upper floor is where we find the master suite, 2 double bedrooms and a shared bathroom. 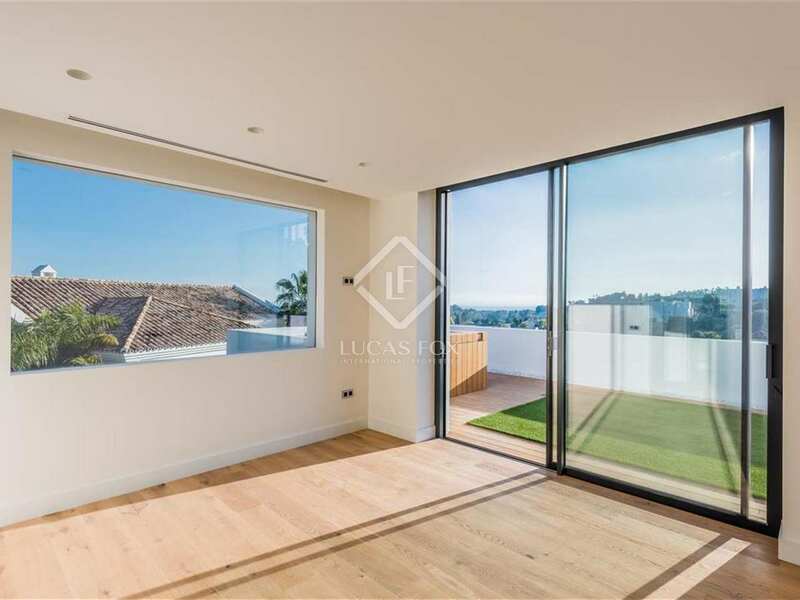 All of these bedrooms enjoy the luxury of access to a terrace with a jacuzzi and shower. 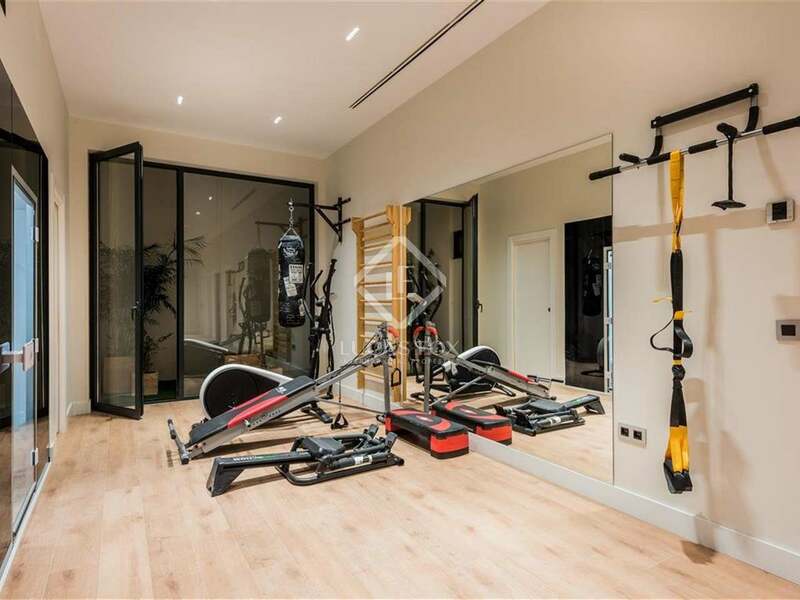 A fifth guest bedroom, a bathroom, gym, sauna and steam room await us on the lower floor and there is space here to create a home cinema room or games area. 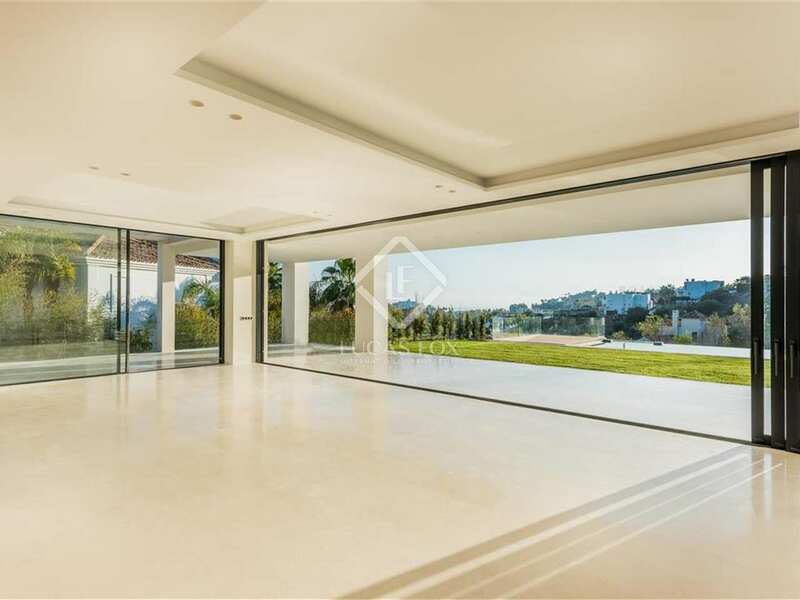 The property also has a 3-car garage. Additional features include air conditioning, underfloor heating and a surround sound music system. 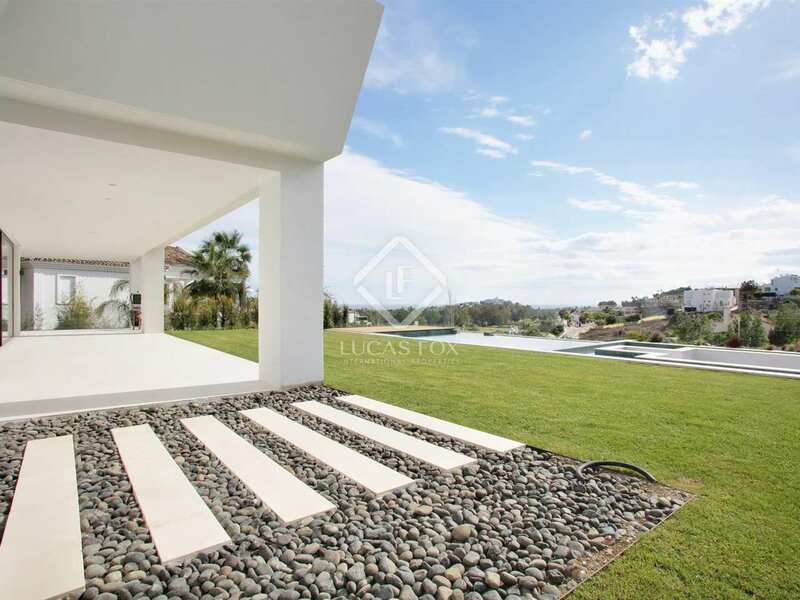 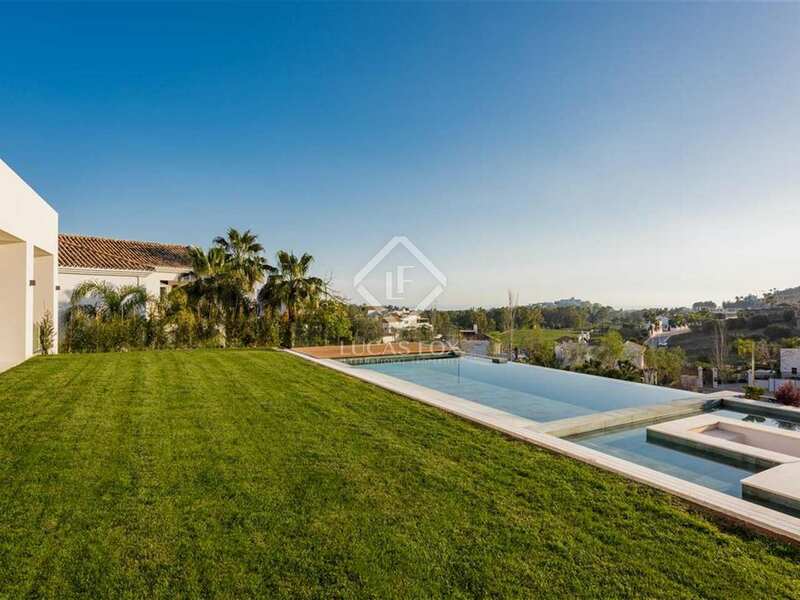 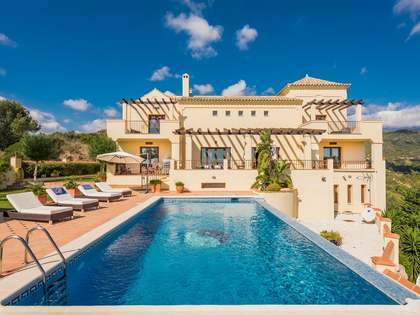 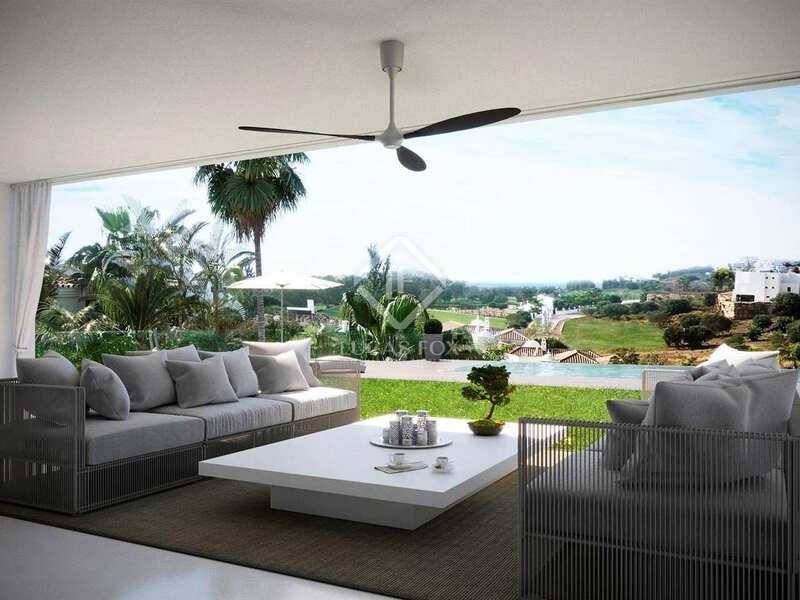 A wonderful new villa in a prestigious neighbourhood just 5 minutes from Marbella. 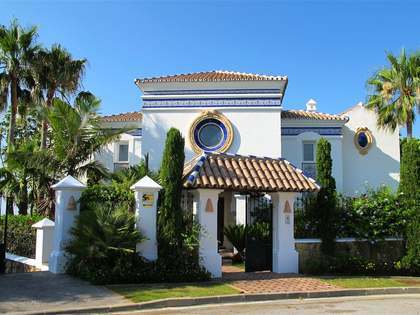 Property located in La Alqueria, a luxury residential area just a few minutes away from Puerto Banus and Marbella.